My friend, Doctor Octoroc got together with his friend, Jude Buffum and they created an 8-bit keyboard cat video complete with a Mario epic fail intro. 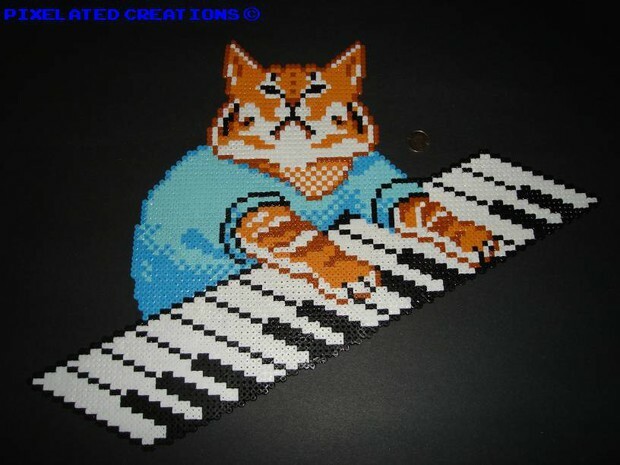 My boyfriend who loves keyboard cat had a birthday today, so I decided to bead that 8-bit version of keyboard cat for him as a present. The final version came out much bigger than I figured so instead of becoming a cubicle decoration, keyboard cat will be framed and hung in my house. Now I will always have someone to play me off.